Private Sector Tourism Committee (TSC) unveiled the Tourism Workforce Competitiveness Roadmap, which aims to combat a growing employment deficit in Sri Lanka’s fast-growing tourism sector recently. TSC estimates that every year, 25,0000 to 30,000 new employees will be needed to accommodate for the growing number of visitors to Sri Lanka, but each year only 10,000 people are trained to work in tourism. 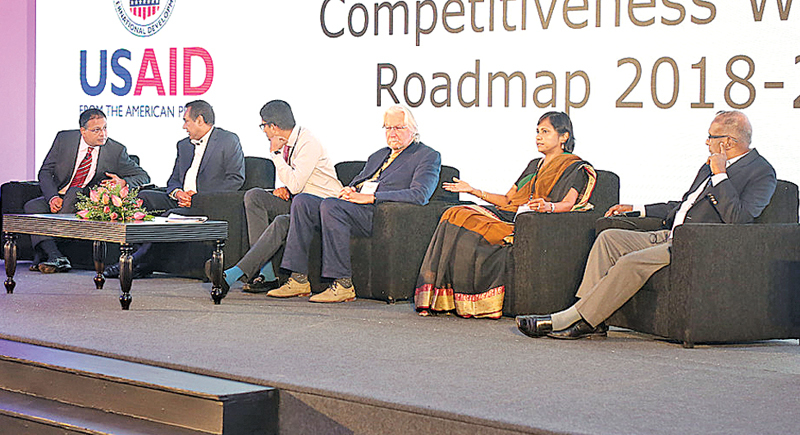 Created by international tourism experts James MacGregor and Srilal Miththapal, the Roadmap will mobilize the private sector in an effort attract more Sri Lankans to careers in the industry and cultivate higher quality hospitality around the country. Reed Aeschlimen, Mission Director at United States Agency for International Development (USAID) spoke at the launch event, recounting 70 years of bilateral relations between Sri Lanka and the United States in a wide array of industries. “Today, we appear in support of the private sector, a growing, vibrant sector here in Sri Lanka, with some of the nation’s most innovative and socially responsible companies,” he said. Aeschlimen praised the initiative for its comprehensiveness and detail. “This roadmap demonstrates the kind of vision, leadership, and cooperation from the private sector that is needed to ensure Sri Lanka gets the most from its incredibly talented young women and men,” he said. To address the employment deficit, the TSC will develop intensive, specialized training modules allowing new employees to join the workforce quickly. The committee also intends to update Sri Lanka’s tourism education to better align with global standards. As a long-term solution, the TSC will work to expose Sri Lankans to the tourism industry earlier in life through career counselors, boot-camps, and internship programs. They also hope to recruit young employees with a job-listings mobile app specifically for the tourism sector. The committee intends for Sri Lanka’s youth to better understand the diversity of career opportunities in the industry and the potential for fulfilling, well-compensated work. The committee also highlighted the shortage of women in the industry. In Sri Lanka, only 10% of the tourism workforce is comprised of women, in comparison to the global average of 65%. TSC expressed a commitment to researching and implementing ways to create a friendlier work environment for women, such as safe transport and affordable childcare. The Roadmap is supported by the Technical and Vocational Education Commission of the Ministry of Science, Technology, Research, Skills Development and Vocational Training & Kandyan Heritage; the Sri Lanka Institute for Tourism and Hotel Management; the Ceylon Chamber of Commerce, and YouLead, a $12million project funded by USAID.